Screamers is the first feature film by Chocolate Factory Co-Founder / Artistic Director Brian Rogers, performed by dancers, choreographers, directors and performing arts curators. A kind of conceptual ghost story, Screamers was conceived during a year-long residency at a former Catholic Church owned by the artist Dan Hurlin in Stuyvesant, NY – and was subsequently filmed over the course of two weeks in September 2015, with additional filming in the Playhouse at Abrons Arts Center. Though Screamers is created and performed by members of the dance, theater and performance communities, it is NOT a dance film. Rather, it is an attempt to fulfill certain expectations of feature length narrative filmmaking from the perspective of experimental performance. The cast and crew of Screamers are experienced dancemakers, theater directors / and performing arts curators – but came to this project without any prior filmmaking experience. In 2014, Brian Rogers spent part of each week living in a former Catholic Church owned by the artist Dan Hurlin in upstate New York. The particular atmosphere and history of this location inspired him to write the first draft of a feature length screenplay in a single 48 hour period. Screamers is above all the story of a space – a strange and haunted former Catholic Church on the banks of the Hudson River in Stuyvesant, NY – which conjures and ultimately consumes its inhabitants: a dancer and her husband (Molly Lieber and Andrew Dinwiddie); a priest (played by Jay Wegman, director of NYU Skirball and an ordained Episcopal priest); and a collection of menacing locals (played by Jim Findlay, Daniel Fish, former PS122 director Vallejo Gantner, Keely Garfield, and Jon Kinzel). The cast and crew of Screamers was assembled entirely by instinct. Filming was completed in 11 days in September 2015, on a very small budget, with virtually no advance rehearsals. Screamers is the third in a trilogy of works referencing cinematic vocabularies after Hot Box (2012/13, co-presented with Crossing The Line, PS122 and EMPAC) and Selective Memory (2010/11, Bessie Nomination). Written and directed by Brian Rogers. Produced by Madeline Best. Edited by Brian Rogers. Director of photography: Jeff Larson. Production design: Sara C. Walsh. Lighting: Jon Harper. Sound recording: Stephen Bruckert. Sound Mixing and Mastering: Jim Dawson. Dramaturgy and Directorial Consultation: Madeline Best. Music by Brian Rogers. Assistant Production Design: Jessie Bonaventura. Production Assistants: Youree Choi, Ben Demarest, Jonathan Ginter, Kenneth Olguin, Nicole Simonson. Starring: Andrew Dinwiddie, Jim Findlay, Daniel Fish, Vallejo Gantner, Keely Garfield, Jon Kinzel, Quinn Larson, Molly Lieber, Jay Wegman. Screamers also exists as a live audiovisual performance, incorporating many of the ideas and techniques developed in our previous works Hot Box and Selective Memory. Screamers (the performance) has been in development since 2014 and has never been (and may never be) shown to the public. Commissioned – and then cancelled – by PS122, the creation of Screamers has been supported by residencies at The Atlas Institute at the University of Colorado, Yaddo, Bennington College and Mount Tremper Arts. Screamers (the performance) is adaptable to any kind of space. It begins in a hyper-spatialized sound environment (generated live using analog modular synthesizers) which is experienced in total darkness. As the performance unfolds, elements of light, shadow, real and imagined details of the space itself are gradually revealed. Through evolving patterns of repetition, and the complex layering of architectural details with high resolution video doppelgangers, Screamers becomes a meditation on (and distortion of) the space in which it happens, without human intervention. Inspired by Stanley Kubrick’s The Shining and the notion of “architecture as protagonist”, Screamers attempts to conjure the uncertainty, dread and horror contained within, behind and underneath the ordinary details of inhabited spaces; and to capture, somehow, the ghosts lurking in the shadow of the screen – the illusory flicker of life within a lifeless medium. Screamers is algorithmically sequenced (its structure is semi-random) and utilizes 3-dimensional renderings (captured using modified Kinect equipment) and extensive video footage of the details of each space. These materials are then projection mapped onto the space itself, creating a kind of uncanny simulacrum that, through modulation and repetition, gradually reveals new understandings of the space and the place of the spectator within that space – disturbing the meaning of objects and details that are normally taken for granted. Created by Madeline Best (Director of Photography / Dramaturg), Jon Harper (Lighting Design), Brad Kisicki (Scenic Design), Brian Rogers (Concept / Direction / Music) and Mike Rugnetta (Technology Design). Developed during residencies at The Atlas Institute at the University of Colorado, Yaddo, Bennington College and Mount Tremper Arts. Sign up for our weekly e-newsletter. We promise not to share your personal details with anyone. Alton Murray is a Strategic Partnership Manager in the Corporate Affairs Department of Con Edison where he manages relationships with Arts and Culture and Environmental nonprofits organizations. His work helps to implement and measure new and existing programs that support the company’s philanthropic efforts and core business initiatives. Alton is also an ardent patron of the arts. He mentors emerging arts leaders in the American for the Arts Diversity in Arts Leadership Program, and supports emerging women artists whose primary creative medium is paper. Additionally, he is passionate about traveling and likes to visit two to three countries every year. Alton holds a B.S in Liberal Studies from St John’s University and a Corporate Community Involvement Certification from Boston College Center for Corporate Citizenship. He is a trustee of the Stefanie Batten Bland Dance Company and sits on the advisory board of New York Live Arts and New York Foundation for the Arts. Vallejo Gantner is a co-founder of new Canadian / US startup Hoovie, developing new ways to enable independent film screenings in private spaces. Artistic Director of Performance Space 122 from 2005-2017, responsible for programming, strategy and external affairs. 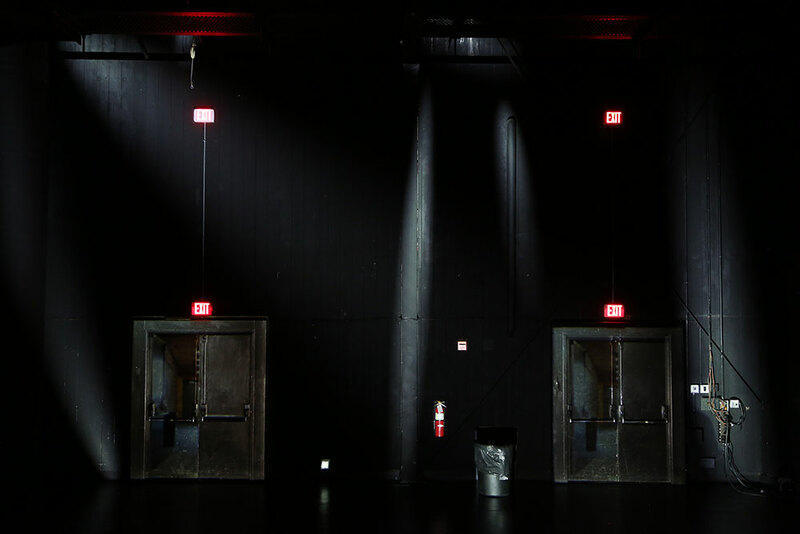 Performance Space New York is one of the United States leading contemporary, performing arts presenters. He rejuvenated and raised the global and national profile of the organisation, and was a leading voice in conceiving, fundraising and developing a $35 million renovation of its East Village home. He created and led the COIL Festival, humanities / ideas programs, an initiative to digitally re-imagine live performance, national commissioning awards, international collaborations with the Australia Council, ArtsHouse Melbourne, Théâtre de Gennevilliers (Paris), Théâtre Garonne (Toulouse), Chelsea Theatre (London), and a variety of innovative residency / producing programs. Co-producer of Spiegelworld 2006-2008, Director of the Dublin Fringe Festival 2002-2004 and Artistic Associate of the Melbourne Festival from 2000-2001 and an E.P. on three indie features. He was a founding partner of Australia’s Mountain Goat Beer until 2015, in addition to four Melbourne bars. Board member of Myer Family Investments, Jianguo, and Adela International – all diversified investment companies based in Melbourne. He is currently engaged in driving these toward a new strategy of sustainable investment. Formerly he was a board director of the National Performance Network (USA), The Myer Foundation (Aus), MacDowell Colony (USA), Kage (Aus), Mountain Goat Beer (Aus), National Institute of Circus Arts (NICA) (Aus), and has sat on more award, funding and other panels than he can remember. He is also a very proud father. Alongside curating and developing new experiences through live performance, and reinforcing the essential value of the arts in our lives, Gantner is passionate about finding ways to influence the use of capital to create positive social impact alongside financial growth. Mary Torres has happily called Long Island City home since 2009 when she bought an apartment in Citylights – LIC’s first waterfront luxury high-rise condop. Nothing makes Mary happier than helping clients find their own perfect spot in LIC and she works tirelessly to guide them through the process of renting, buying or selling both residential and commercial properties in Long Island City and throughout New York City. Mary joins Modern Spaces with over two decades of combined experience as a business developer and community banker. It’s her love of the community combined with her professional experience in client and business development, which compelled her to pursue real estate in Long Island City. Mary’s superb communication skills, strong business acumen, and global market experience give her the ability to work with a diverse array of clients. Whether they are looking to rent, buy or sell, Mary ensures her client’s needs are met and moreover, that they are at ease with the process form beginning to end. Mary holds a Bachelor of Science Degree in Mathematics, and is certified as a Buyers Representative and a Certified Negotiation Expert. She is a registered member of the Real Estate Board of New York. Sheila Lewandowski is co-founder and executive director of The Chocolate Factory Theater. Through her leadership, the theater has supported over 800 artists and as many as 35,000 visitors since opening its doors in 2004. In addition, Ms. Lewandowski instituted the annual Taste of Long Island City as an economic and community development project, the proceeds of which further the work of The Chocolate Factory’s artists each year. Leslie Levin Nilsson grew up in a small town obsessed with food, so obsessed that in 1997 she left a career as an English professor and Glamour editor to start the Sage brand. Bartleby & Sage traces its roots to the original Sage American Kitchen take-out shop that led to a boutique catering company focusing on handmade, locally sourced foods and sustainable business practices. For the past 20 years, Leslie has guided the company, which has been featured on The Food Network, ABC, The New York Times, Time Out, Martha Stewart Weddings, Brides, and New York magazine, to name a few. She is on the board of many local organizations which aligns with the company’s commitment to community, staff and education. Her favorite foods? The lobster roll at Bagaduce Lunch in Brooksville, Maine, with New Orleans cooking and all things Italian close seconds. As a partner in the Banking & Finance practice at Mayer Brown LLP, Ryan focuses in particular on securitizations of institutional leveraged loans, known as collateralized loan obligations (CLOs), which provide funding to the corporate credit market. In addition to CLOs, he advises clients on regulatory issues in relation to securities laws, the US risk retention regulations and the Volcker Rule, and has experience in derivatives, secured and unsecured credit facilities, private placements, asset finance and acquisition finance. Chris Ajemian parlayed his Theater degree into CATES, a full-service education support company with locations and clients all over the world. He has designed cutting-edge, large-scale programs for elite educational and charitable institutions and has earned recognition as an innovator in his field. His creativity, entrepreneurial spirit, and drive toward innovation find kinship in The Chocolate Factory, of which he has been a proud principal Board Member for the last 6 years. Jonathan is President and Chief Architect of Applications Integrations LLC working as a senior systems architect with more than 20 years experience designing and implementing enterprise-scale computer systems on the Unix and Microsoft platforms for clients such as Pfizer, Forest Labs, Omgeo, Japan Tobacco International, Trius Therapeutics, and The Yankee Group. Prior to Applications Integrations Jonathan was Technology Director at Avenue A Razorfish, SBI Group and Scient where he serviced numerous clients including NCCI Holdings, Janssen Pharmaceuticals, Genzyme Corporation, Aetna US Health Care, GlaxoSmithKline, MetLife, Price Waterhouse Coopers, and Cirqit.com. While at Scient, Jonathan led the Media Asset Lab and was a key member of the Program Management Office. Earlier Jonathan was a Senior Architect at Merrill Lynch Enterprise Technical Services division where he worked on the Corporate Product Master and with Global Equity Derivatives. Before Merrill Lynch Jonathan was lead architect for Global Broking Services at Marsh & McLennan and prior to that Jonathan was a consultant to Texaco Inc for the Middle East Far East Division. Tracy Capune, a veteran urban planner and economic development consultant, is Vice President of Kaufman Astoria Studios. A key member of KAS’s team, Ms. Capune oversees the Studio’s expansion plans as well as initiatives to further economic growth in the neighborhood surrounding the Studio. Ms. Capune played an integral role in creating the Studio’s newly opened back lot and managed the development of the Stage K building. Most recently, she led the successful drive to designate the area surrounding the Studio as the Kaufman Arts District. She’s now looking to further expand the Studio and build Stages N and O. Prior to joining KAS, Ms. Capune spent eight years as a Managing Director at Stadtmauer Bailkin LLP. She is a graduate of The American University and earned a Masters in Urban Planning from New York University. Ms. Capune is a member of the Boards of Directors of the Queens Theatre, the Queens Economic Development Corporation and The Chocolate Factory Theater. Mary’s work at the New Victory has been recognized by Time Out New York: “There’s more sheer inventiveness and wonder in a single New Victory season than in most venues combined.” She has been instrumental in bringing the work of bold international artists including the nouveau cirque and physical theater prodigies James Thiérrée and Aurélien Bory (France), the aerial dance company of Brenda Angiel (South America), inventive theater groups Kneehigh and the Young Vic (England) and the National Theatre of Scotland, Catherine Wheels, and Visible Fictions (Scotland), powerhouses Circus Oz and Belvoir (Australia), puppet auteurs Improbable and Blind Summit (UK) and the intensely fresh Ontroerend Goed (Belgium) to the attention of U.S. viewers and programmers. She has regularly supported and programmed works from important American companies as well, including Rennie Harris RHAW (Philadelphia), Black Violin (Miami), Lookingglass Theatre Company and Steppenwolf Theatre Company (Chicago), Children’s Theater Company (Minneapolis), Seattle Children’s Theater (Seattle), and New Yorkers Phil Soltanoff, Tectonic Theater Project, Mabou Mines, Ping Chong + Company, The Acting Company, Fiasco Theater and Don Byron, among others. An accomplished speaker and frequent panelist and juror, Mary has attended numerous arts festivals and conferences as an invited guest and as part of various international delegations for curatorial research. Her writing has been featured in Inside Arts and TYA Today, as well as on other platforms. She has been a board member of TYA/USA (formerly ASSITEJ USA) and International Performing Arts for Youth (IPAY) and was the Chairman of IPAY’s Artist Showcase Selection Committee. In 2014, Mary received the Mickey Miners Lifetime Achievement Award, IPAY’s highest honor for making a significant impact on the field of performing arts for young audiences. Mary has served on the curatorial selection team for the Made in Scotland program at the Edinburgh Festival Fringe and was a delegate to the U.S./Netherlands/Flanders Touring and Exchange Project as well as a member of the East Coast Advisory Board for the US COMEDY ARTS FESTIVAL. She has served on grant giving and funding panels, including for the Lower Manhattan Cultural Council and Pennsylvania Performing Arts on Tour. Most recently, Mary was a selected juror for the 37th Festival Mondial du Cirque de Demain in Paris, a respondent for the Southeastern Theater Conference (SETC), a member of the Artistic Advisory Committee of Circus Now, and a member of the Board of Directors of The Chocolate Factory Theater in New York. In January 2017, Mary received the William Dawson Award for Programmatic Excellence and Sustained Achievement in Programming from the Association of Performing Arts Professionals (APAP). Previously, Mary programmed the Special Events Series at the Yale Repertory Theater and served as its Associate Managing Director and was the Managing Director and a Board member of Connecticut’s Ensemble Company for the Performing Arts. She has an MFA in Theater Management from the Yale School of Drama where she received the Morris Kaplan Award for Excellence in Arts Administration. For 22 years Stephen served as the Executive Vice President of The Cathedral Church of St. John the Divine where he had administrative responsibility for the Cathedral’s array of cultural, educational, and social outreach programs. He also coordinated the Cathedral’s preservation and capital improvement initiatives. Formerly, at St. Mark’s Church In-the-Bowery, he developed the Arts Projects at St. Mark’s (comprising Theatre Genesis, The Poetry Project and Danspace) and the Preservation Youth Project, a work and training program for young residents of the Church’s lower East Side neighborhoods, directing their work to restore St. Mark’s after a devastating fire. Subsequently, he directed the restorations of the Church of St. Luke In-the-Fields and Hitchcock Presbyterian Church. Stephen holds an A.B. in English Literature from Boston University and a Master in Public Administration from Harvard’s John F. Kennedy School of Government. He is a trustee of the St. Mark’s Historic Landmark Fund, the New York Preservation Archive Project, Movement Research, and The Chocolate Factory Theater. Brian Rogers is a director, video and sound artist, co-founder and artistic director of The Chocolate Factory Theater, which supports the creation of theater, dance, music and multimedia performances at its 5,000 sq ft facility in LIC, Queens. Since 1997, Brian has conceived and/or directed numerous large scale performances at The Chocolate Factory and elsewhere including Hot Box (September 2012, co-presented with FIAF’s Crossing The Line Festival / January 2013, PS122’s COIL Festival / February 2013, EMPAC Center, Troy NY – supported by a MAP Fund grant), the Bessie-nominated Selective Memory (July 2010, Mount Tremper Arts / September 2011, The Chocolate Factory / January 2011, PS122’s COIL Festival) and the horror the horror (Movement Research Festival 2011, Abrons Arts Center / 2012). Brian recently completed his first feature film; composed the soundtrack for Shaun Iron & Lauren Petty’s film Standing By: Gatz Backstage; and has collaborated as a sound and video artist with numerous experimental dance and theater artists in NY and elsewhere. In addition to his own work, Brian curates The Chocolate Factory’s Visiting Artist Program (now in its 12th year) which supports the work of more than 100 artists each year.